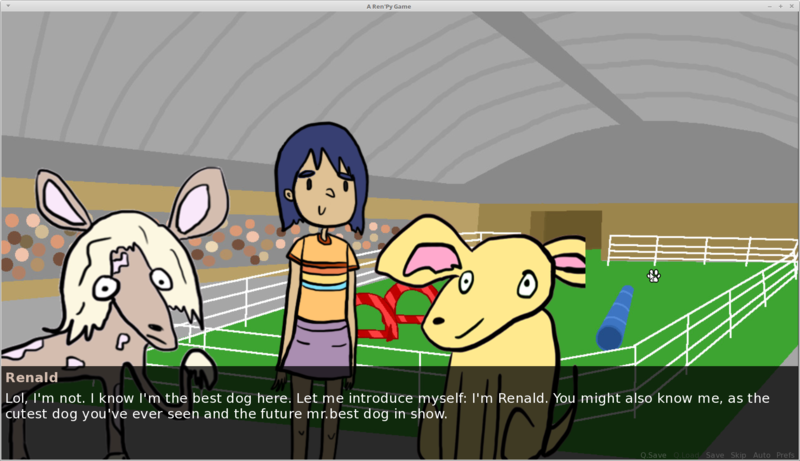 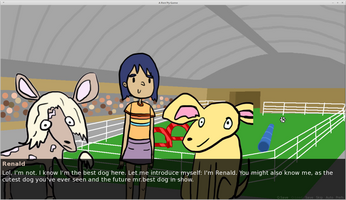 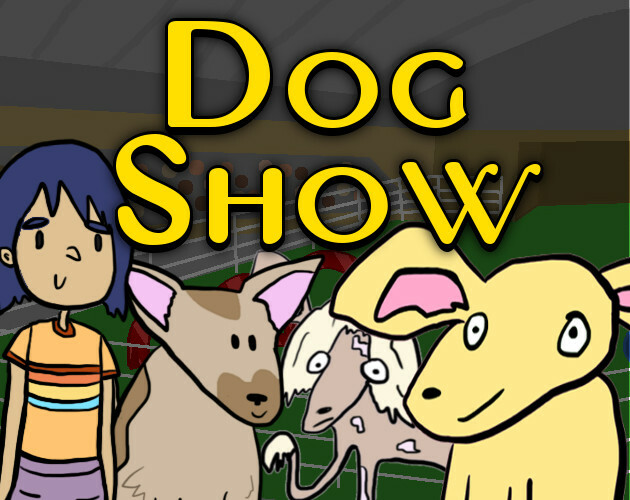 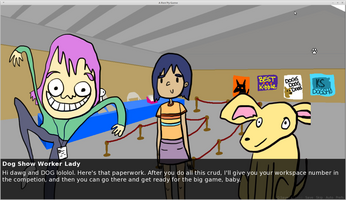 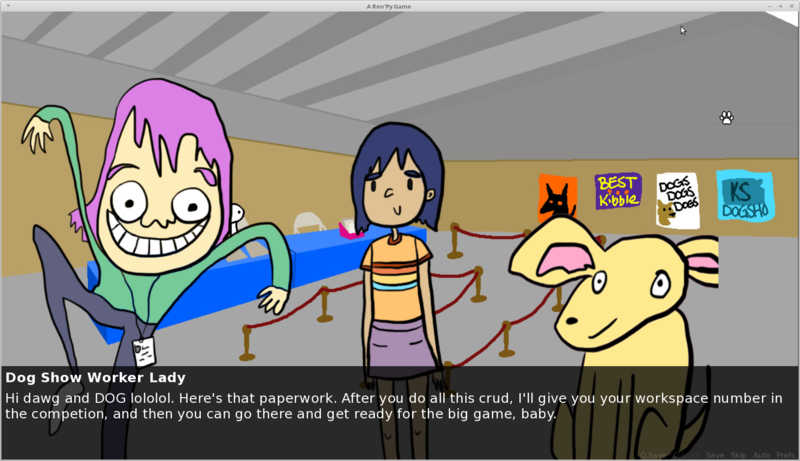 For the past few months Rose has been working on this visual novel about talking dogs and a dog show. 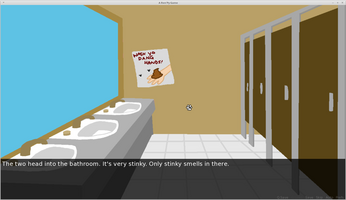 The nice thing about visual novels is that it can be easy to develop them while using placeholder graphics, but we can't show it off with the placeholders, so today I (Rachel) did some rough background art for different parts of the game and threw it in. 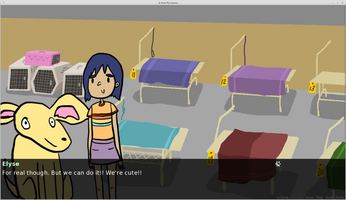 I love my sister's art style. 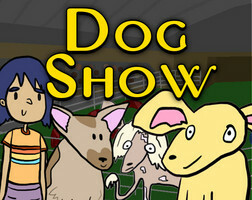 Hopefully within the next month or so we will have a version to play!